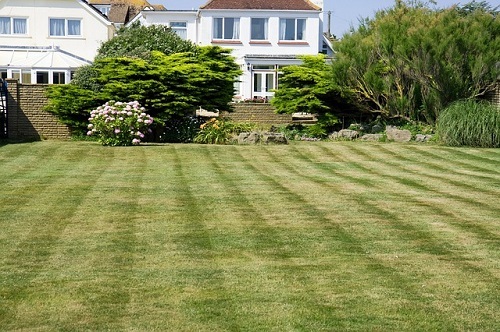 Are you trying to get your lawn and garden in the best shape possible? Then it's important to understand the process of fertilizing, including why and when to fertilize your lawn and plants. Feeding your lawn is one of the most important things you can do to keep it in good health and to keep the grass green all year round. Fertilizers help to build a better root system, which in turn helps protect your lawn from extreme heat, cold, drought, foot traffic, and other stress factors. First of all, keep in mind that every lawn is different depending on where you live, how much sun your lawn gets, and many other factors. You may find you need to tweak your fertilizer schedule depending on your unique lawn needs. But to get started, here are some general tips on when to fertilize your lawn. February through April - This is the time where your lawn begins to "wake up" from the winter. Fertilizing your lawn during this time strengthens the roots and helps to set it up for success during the heavy growing season. If you have weeds in your lawn, consider using a fertilizer with a pre-emergent in it to control weed growth. If you're unsure which type of fertilizer to use on your lawn, check out our article on the 5 types of fertilizers. April through June - During this time of year, your lawn is working hard and using the energy it stored during the winter months. So it's important to fertilize sometime during the late spring in order to give your lawn the energy it needs to stay healthy during the summer and fall. June through August - If you live in Arizona like us, summer is the toughest time on home lawns. Not only does the heat take a toll on the lawn, but you also have insects to fight! Fertilizing your lawn in the summer will encourage continued growth so that you still have a lawn in the fall, which is the perfect time for outdoor entertaining in the hot southwestern states. September through November - Fall brings pleasant weather and ideal conditions back to your lawn. Your lawn is ready for another growth period, and will need nutrients in order to thrive. The increased rainfall, morning dew and cooler evenings of fall create the best environment for a healthy lawn. Apply your fertilizer just before the winter chill hits in order to increase nitrogen storage. This will help create a healthy lawn in the spring next year. Follow this lawn fertilizer schedule to maintain a healthy lawn all year round. For more tips and information, check out our Lawn Nutrition and Fertilization page.